Although Motorola releases new Moto G devices each year, it’s release pattern isn’t exactly consistent. In fact, just seven months after announcing the Moto G6 lineup, one of the Chicago-based company’s next-generation devices appears to have been certified. Going by the model number Moto XT1965-2, the smartphone in question was actually submitted by Motorola to the FCC way back in September ahead of testing later that month. There is yet to be any confirmation from Motorola on the matter, but this would certainly suggest that an early 2019 release is planned. The documents, unfortunately, don’t confirm much about the device itself, though they do confirm that it will be sold in both single-SIM and dual-SIM models. Despite typically releasing either two or three Moto G variants per year, reports are currently suggesting that Lenovo will increase the number of devices next year to four. This means that, alongside the regular Moto G7, the company will also be launching a Moto G7 Play, G7 Plus, and G7 Power. 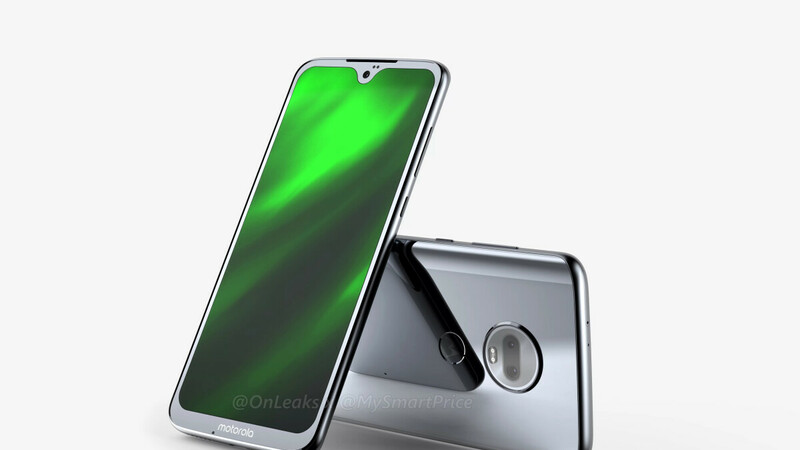 Externally, these devices will resemble the current Moto G6 lineup quite closely by adopting a glass and aluminum construction that features a large camera module on the rear. Up front, however, the 18:9 displays are set to be swapped out by taller panels that sport waterdrop notches. Looking good there, Moto. Sort of a cross between an LG G6 and OnePlus 6T. If I can't find a cheap Pixel 3 I might trade my G6 for one of these.